Abdulmecid I succeeded his father Mahmud II in 1839, becoming the 31st Sultan of the Ottoman Empire. During his reign, he promoted a number of reforms most notably in the Army which benefited from a reorganisation and for the first time, non-muslims were allowed to become soldiers. He also worked for a fairer system, abolishing capitation tax which had forced non-muslims to pay higher tariffs. Other reforms brought about modern Universities and academies and an Ottoman School was founded in Paris. 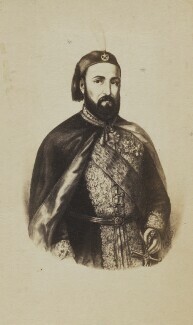 Under his rule, Ottoman paper currency was also introduced and there were plans to abolish slave markets and the decrimalisation of Homosexuality.